It is that time again! We are gearing up for this month’s discussion of Galore by Michael Crummey (Tuesday, April 26, right here! ), but it is also time to give away next month’s BOOK CLUB selection. 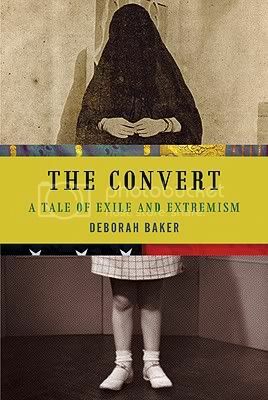 In May we will be reading another offering from Graywolf Press, The Convert by Deborah Baker. 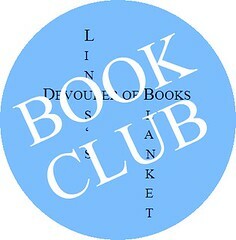 We will be discussing The Convert at Linus’s Blanket on Tuesday, May 17th. What drives a young woman raised in a postwar New York City suburb to convert to Islam, abandon her country and Jewish faith, and embrace a life of exile in Pakistan? The Convert tells the story of how Margaret Marcus of Larchmont became Maryam Jameelah of Lahore, one of the most trenchant and celebrated voices of Islam’s argument with the West. A cache of Maryam’s letters to her parents in the archives of the New York Public Library sends the acclaimed biographer Deborah Baker on her own odyssey into the labyrinthine heart of twentieth-century Islam. Casting a shadow over these letters is the mysterious figure of Mawlana Abul Ala Mawdudi, both Maryam’s adoptive father and the man who laid the intellectual foundations for militant Islam. As she assembles the pieces of a singularly perplexing life, Baker finds herself captive to questions raised by Maryam’s journey. Is her story just another bleak chapter in a so-called clash of civilizations? Or does it signify something else entirely? And then there’s this: Is the life depicted in Maryam’s letters home and in her books an honest reflection of the one she lived? Like many compelling and true tales, The Convert is stranger than fiction. It is a gripping account of a life lived on the radical edge and a profound meditation on the cultural conflicts that frustrate mutual understanding. If you would like to be considered as a participant for February, please fill out the form below by the end of the day tomorrow, Tuesday, April 12. Your mailing address will be discarded if you aren’t selected to participate and used to mail you the book if you are. I do not share or retain any personal information. Only those selected will be contacted by email. I know, I have Galore and I don’t want to be greedy but I sure do love discussing books with you guys. So, totally understand if you need to give others a chance. I can’t wait to talk about Galore. And this one looks really interesting.